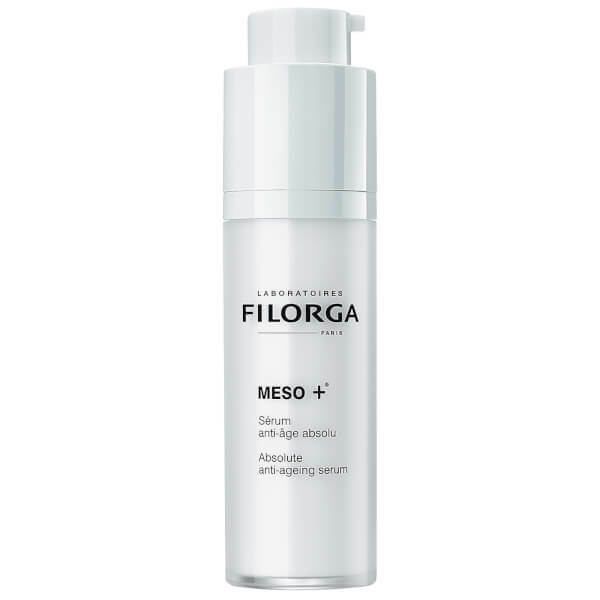 Directly target signs of premature ageing with the Filorga Meso+ Serum; an advanced, highly concentrated anti-ageing treatment that seeks to deliver complete wrinkle correction for smooth, refined and revitalised skin. 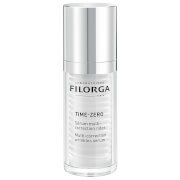 Harnessing the unique hydrating properties of Hyaluronic Acid, the lightweight formula infuses skin with moisture while encapsulated Retinol acts as a resurfacing agent to activate cellular renewal and dramatically reduce the appearance of fine lines. An exclusive mesotherapy complex, NCTF®, helps strengthen the epidermal layer and seal in hydration, resulting in skin that feels plumper, firmer and fresher. Suitable for all skin types. 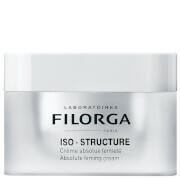 Apply morning and evening alone or under a day or night cream, to perfectly cleansed face, eye contour, neck and décolleté. 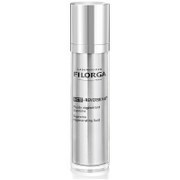 Aqua, Cetearyl Alcohol, Cetearyl Glucoside, Glycolaqua, Prunus Amygdalus Dulcis (Sweet Almond) Oilcyclomethicone, Corylus Avellana (Hazel Nut) Oil, Butysrospermum Parkii (Shea Butter), Dicaprylyl Carbonate, Cetearyl Alcohol, PEG-8 Beeswax, Biosaccharide Gum-1, Hydrolyzed Myrtus Communis Leaf Extract, Ethylhexyl Glycerin, Cetyl Alcohol, Glyceryl Stearate, PEG-75 Stearate, Ceteth-20, Steareth-20, Hydrolyzed Elastin, Collagen, Phenoxyethanol, Methylparaben, Butylparaben, Ethylparaben, Propylparaben, Isobutylparaben, Retinyl Palmitate, Helianthus Annus (Sunflower) Seed Oil, Glyceryl Oleate Citrate, Sucrose Palmitate, Glyceryl Linoleate, Sodium Hyaluronate, Tocopherol, Calcium Chloride, Potassium Chloride, Magnesium Sulfate, Sodium Acetate, Sodium Chloride, Sodium Phosphate, Amino But Acid, Glucosamine, Glucose, Glucuronolactone, Glucuronic Acid, Glutathione, 5-Methyl 2’ Deoxycytidine, Thiamine Pyrophosphate, Coenzyme A, Sodium Flavin Adenine Dinucleotide, Nicotinamide Adéninev Dinucléotide , Sodium Nicotinamide Adénine Dinucléotide Phosphate, Sodium Uridine Triphosphate, Methionine, Ornithine, Phenylalanine, Proline, Serine, Taurine, Threonine, Tryptophan, Tyrosine, Valine, Ascorbic Acid, PABA, Biotin, Calcium Pantothenate, Folic Acid, Inositol, Niacin, Niacinamide, Pyridoxal, Pyridoxine, Riboflavine, Thiamine HCL, Tocopherol Phosphate, Tocopheryl Acetate, Cobalamine, Desoxyadenosine, Desoxycytodine, Desoxyguanosine, Desoxythymidine, Amonium Acryloyldimethyl Taurate/VP Copolymer, Ascorbyl Glucoside, Triethanolamine, BHA, Parfum (Fragrance).